That’s a black widow. The only powers you’ll get from that biting you are the powers of paralysis and suffocation. Those fückers have nerve toxin in their fangs. You cant pick what you dream of in your coma. Go ahead, let that spider bite you. Let's find out if it does make you into spiderman. 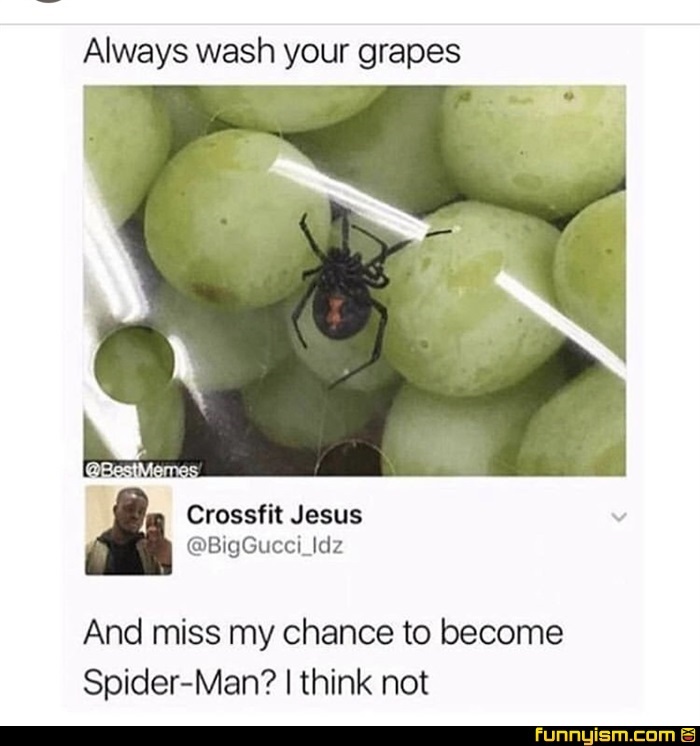 Washes grapes. Gets bit by a pissed off drowning spider..